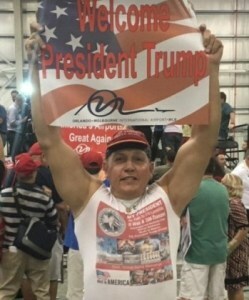 Editor's Note: On Friday, I wrote about the things that we were "being told" about alleged bombing suspect Cesar Sayoc. After citing several sources, including his criminal history, I wrote, "Considering how the "bombs" were constructed, the lack of postage on the packaging and some of this overt "Trump support," I am going to remain very cynical here about everything coming out because this looks like an orchestrated false flag incident to me. I could be wrong, but I don't think I am." Lo and behold, that cynicism was warranted and this guy is a part of the criminal party of the Democrats, despite the fact that he apparently was registered as a Republican. Could the Democrats have asked for a series of bomb scares at a better time? Mid-term elections are just 9 days away as I write this. If this were a false flag, it was very well timed. If it was not then you can not argue that the Democrats got lucky. This is a good time for a crazy Republican to be running around. The GOP has very little time to react and play damage control. PJW did mention that he follows no Republicans or conservatives. He doesn’t even follow Donald Trump despite playing the part of a rabid Trump supporter. Does anyone else find that odd? 4. 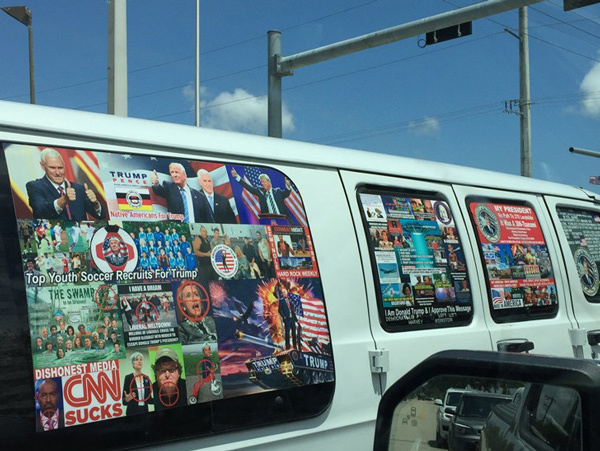 Is Sayoc really a Republican? Despite being registered in Florida as a Republican (since 2016 in the screenshots I perused) there is some reason to doubt the authenticity and sincerity of his registration. That is his now-scrubbed bio on MyLife, which is a social reputation scoring site. If Donald Trump had a NASCAR Team this might be the exact paint scheme. How convenient that they would find this van with the decals in such pristine condition. Indeed. In my town kids can’t even get away with “pimping their rides” by pushing the limits on window tint laws. I doubt one of Florida’s finest would allow that van to pass by without a traffic stop. Something smells fishy to me but I’m not one to often accept mainstream media narratives without questioning those narratives. If you have anything to add by either supporting false flag claims or debunking them, please comment below.